This beautiful postcard was produced in conjunction with the Fair. 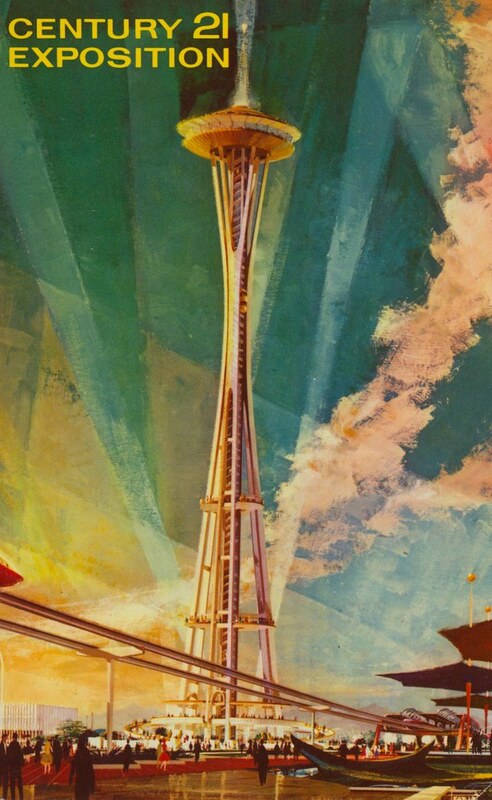 Topping America’s Space Age World’s Fair, Century 21 Exposition, is the 55-foot Space Needle, where visitors to Seattle from April 21 through October 21, 1962, can dine in a 220-seat revolving restaurant affording a panoramic view of the world’s fair, city and mountain around this seaport. Tying the fair to downtown Seattle is the world’s first high speed mass transit Monorail, shown here at the base of the Needle.